As part of my PhD project into underwater image processing I developed an algorithm which post-processes underwater imagery to alleviate poor contrast caused by the process of scattering in the medium (see abstract below). This work was accepted for the British Machine Vision Conference 2015 (one of the top computer vision conferences with an accepted rate of 33%). Abstract: Current dehazing approaches are often hindered when scenes contain bright objects which can cause veiling light and transmission estimation methods to fail. 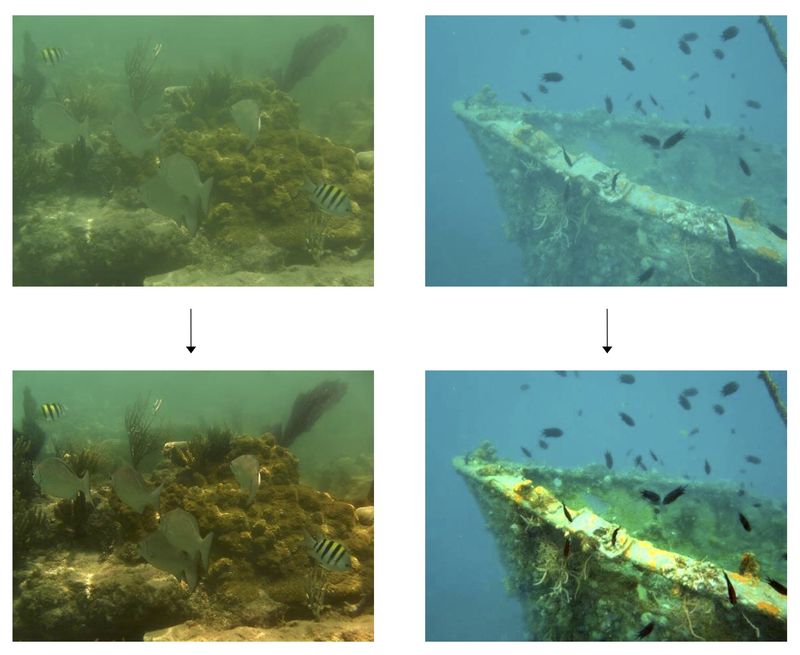 This paper introduces a single image dehazing approach for underwater images with novel veiling light and transmission estimation steps which deal with issues arising from bright objects. We use features to hierarchically rank regions of an image and to select the most likely veiling light candidate. A region-based approach is used to find optimal transmission values for areas that suffer from oversaturation. We also locate background regions through superpixel segmentation and clustering, and adapt the transmission values in these regions so to avoid artefacts. We validate the performance of our approach in comparison to the state of the art in underwater dehazing through subjective evaluation and with commonly used quantitative measures.